William Barr Sworn In As Attorney General The prominent Republican lawyer, confirmed by the Senate Thursday, will lead the Justice Department for a second time. He first served as attorney general under George H.W. Bush in the early '90s. William Barr, pictured during a meeting on Capitol Hill on Jan. 9, has been sworn in as the attorney general of the United States. Republicans led by Senate Judiciary Committee Chairman Lindsey Graham hailed Barr and say they're satisfied that Barr will not interfere with special counsel Robert Mueller. They also have accepted his commitments about making public whatever Mueller issues when his work is complete, so long as it is consistent with the law or regulations. Today is a great day for the Department of Justice with the confirmation of William Barr to be the next Attorney General. Democrats worry that Barr might be a spy for President Trump and they say that Barr hasn't promised unconditionally that he'll release a report by Mueller if the special counsel's office completes one. Mueller is investigating whether Trump's campaign conspired with the Russians who attacked the 2016 presidential election. Trump and his aides say there was no collusion and that they've done nothing wrong. The outcome of Thursday's vote on Barr had been expected; Republicans control a majority in the chamber and a few Democrats also had spoken generally in support of him. Alabama Sen. Doug Jones had said definitively before the fact that he would vote for Barr, and he was as good as his word. Democrats Kyrsten Sinema of Arizona and Joe Manchin of West Virginia also voted for Barr. Barr's oath of office starts a countdown clock for a full change of leadership at the Justice Department. Barr replaces Acting Attorney General Matthew Whitaker, whose next role is as yet unclear, and Barr also is expected to bring on a new deputy attorney general. The current deputy, Rod Rosenstein, is expected to stay on for some time as part of a transition period while Barr gets acclimated, but the Justice Department has said there wasn't a solid timetable for the nomination of a new deputy or the departure of Rosenstein. Barr's daughter Mary Daly, who serves today as the opioid coordinator within the Justice Department, is leaving that post for a job with the Financial Crimes Enforcement Network inside the Treasury Department, according to two officials familiar with the matter. 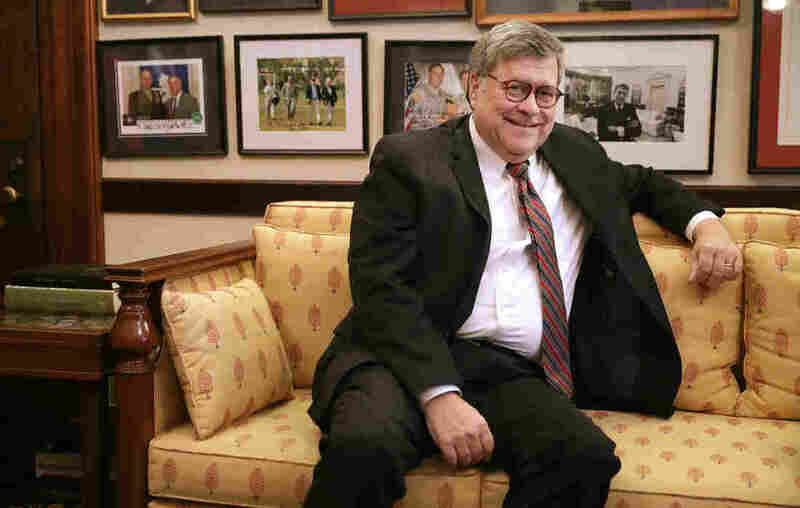 Barr is the second of two people to serve twice as attorney general, the Justice Department said; the first was John Crittenden, who served in 1841 and then again from 1850 to 1853, first under President William Henry Harrison and then in the administration of President Millard Fillmore.